As the only hospital on an island, you have no competitors. Or do you? 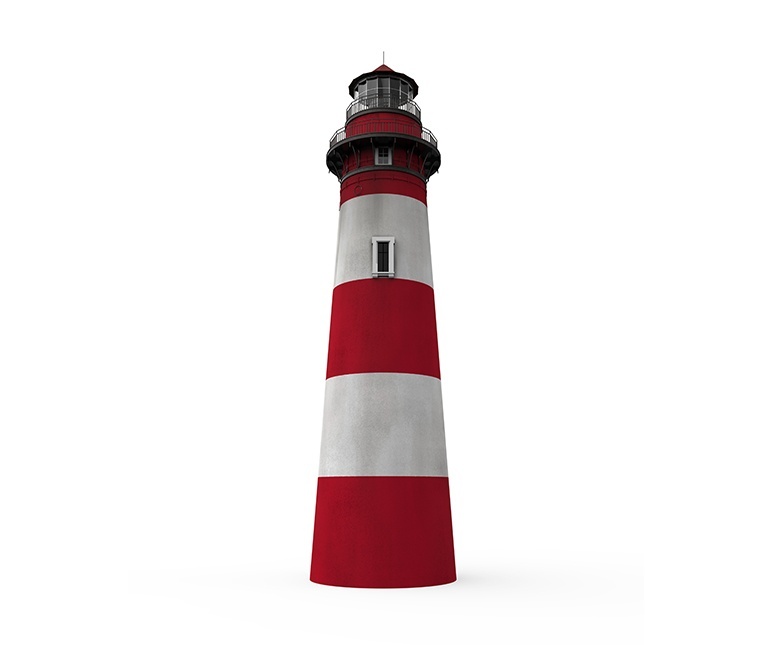 Nantucket Cottage Hospital was increasingly seeing patients choose off-island care in Boston. How could the hospital stay relevant in a competitive marketplace where consumers have more autonomy and choice than ever? Whether they are full-time residents or summer-time visitors, Nantucket is a place where people go to feel well. People told us about the wonderful sense of peace and well-being the island gives them. So we knew it was important to position the hospital not just a place to get "fixed" but a place that connects with the emotional and physical well-being of Islanders. "If we are local, accessible and easy, then can we be seen as professional, and gold standard?" 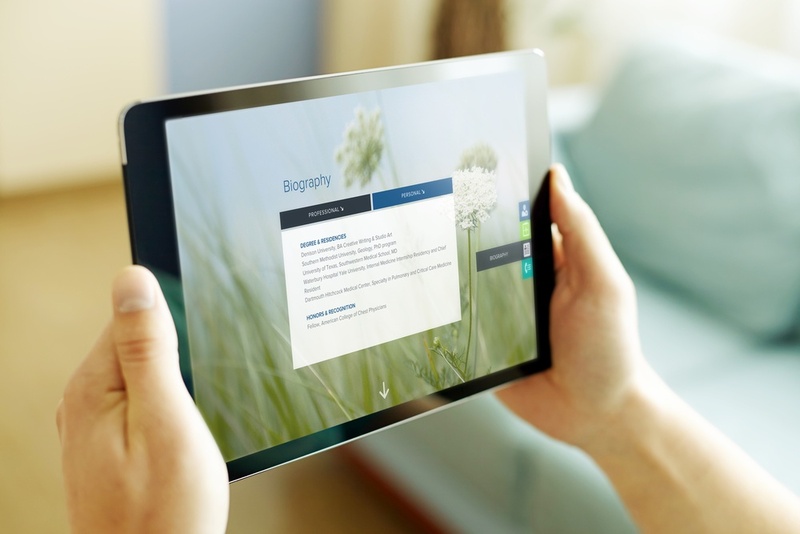 To become an integral part of patients’ sense of well-being, we connected health to technology. Six Brand Trust Levers were mapped to the hospital’s strategic initiatives across a three-year road map. 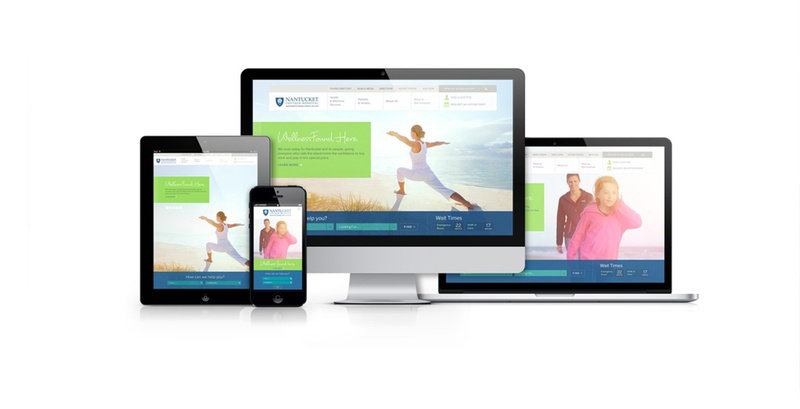 The resulting digital plan accounted for competitive table stakes, including a mobile-friendly website, while also leaving room for unexpected delighters including the development of custom wellness apps to engage patients when they’re healthy, not just when they’re sick. 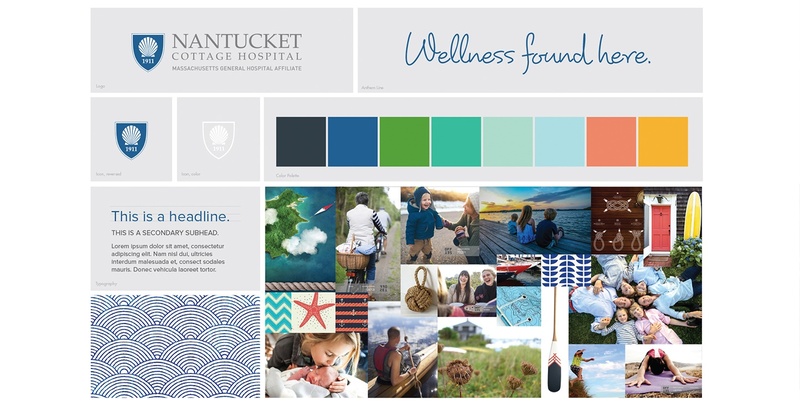 To create enough trust for potential patients to complete the transaction, Nantucket would need to consider the user experience it created to get there – from re-inventing how patients navigate a hospital website to helping patients form a closer relationship with their doctors through bios that feel more like stories than resumes. Finding a doctor should be less like ordering off a fast food menu and more like using Yelp to find a restaurant that meets your unique needs and preferences. 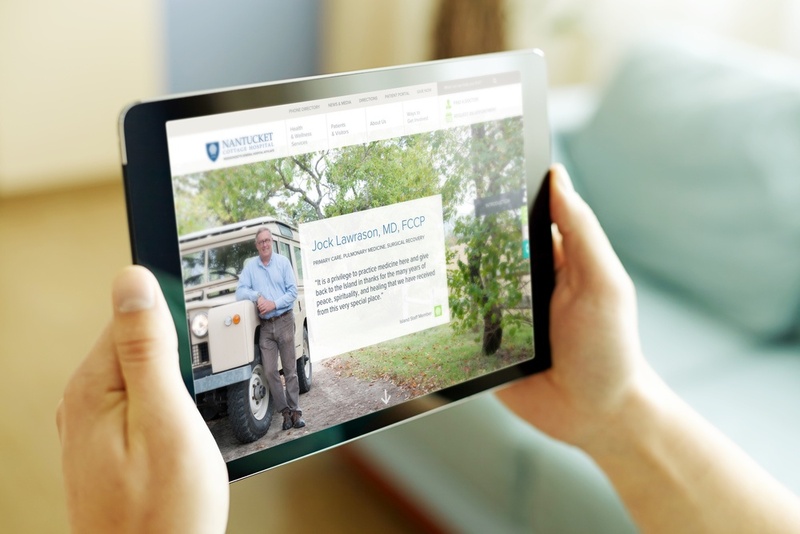 With a profile page for each doctor featuring lifestyle imagery of what they enjoy most about the island, patients can feel more connected to their future provider and trust that they're making the right choice. Doctors say Ophthalmology. Patients say Eye Care. 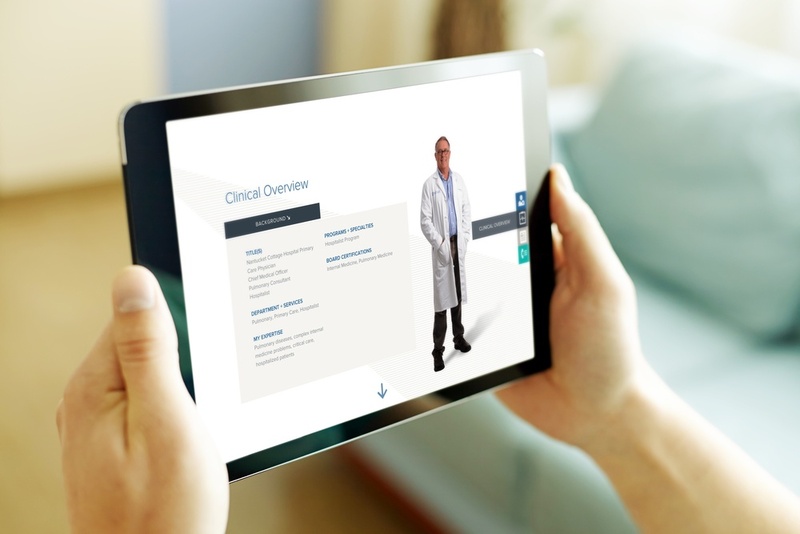 While a hospital may be organized according to medical specialties, if you want to avoid frustrating patients, your website shouldn’t be. 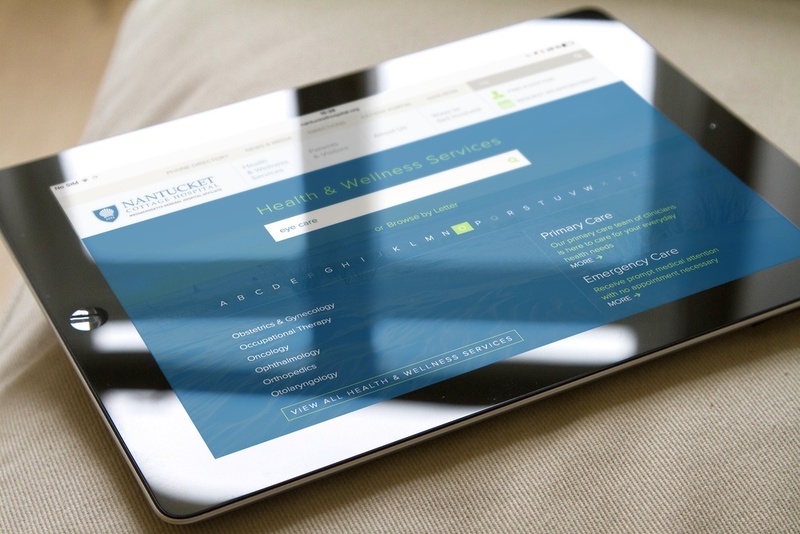 Nantucket uses dynamic navigation to translate patient inquiries and make it easy for them to get around. Just what the patient ordered. 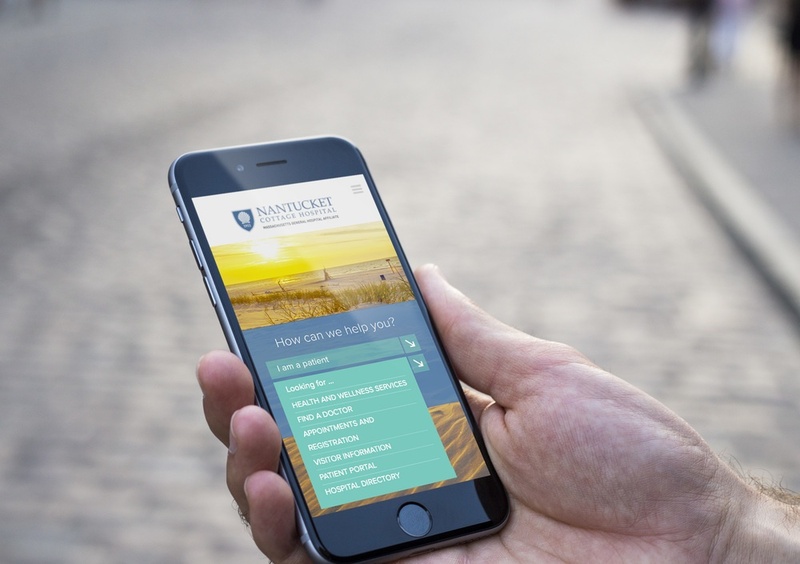 Since the launch of Nantucket’s new mobile-friendly, user-centric website, the hospital has seen a 300% uplift in online appointment requests.